Up to 12 months, as low as Rs. 1,365 per month. 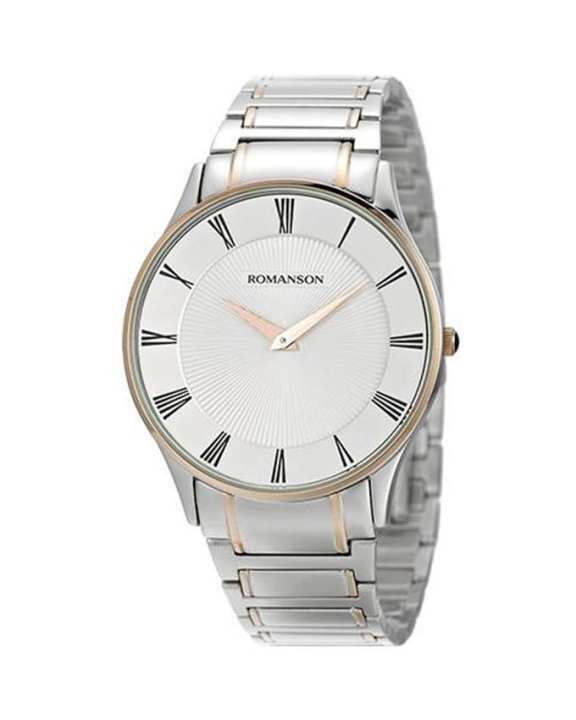 Romanson is well identified all around the world for its innovative, high class and luxurious watch collection. Go elegant by including TM0389 MJ WH - Wrist Watch for Men to your closet. This watch is an ultimate accessory that meet your fashion necessities. It satisfies your bold attire by adding perfection to it. Get this appealing piece to your collection and get the must-prepossessing look you need!